CyberBingo casino has been around for a long time and this is perhaps one of the reasons that the site knows what players are looking for. Because of this, players can expect to come across great bonuses, games and a strong customer support team whenever they sign into their online accounts. CyberBingo casino was established in 1996, making it one of the longest standing online casinos in the industry. The site is owned by Vista Gaming Network and is not currently able to offer US players accounts at this time. This casino is licensed by Curacao and runs on Rival, House Bingo Rooms, Saucify, Betsoft, i-Slots, and Habanero. 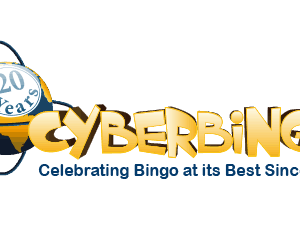 The CyberBingo website has a bright, friendly feel to it, making it a very popular destination for online players. The casino is one of the longest standing online establishments on the market, which means that players can expect a wide range of special features when they sign up for the Cyber Bingo casino. The variety of games on offer at Cyber Bingo casino is one of the many reasons players are signing up for accounts with the site, and players can definitely expect a wide range when they visit this casino. The site is particularly well known for its five-reel video slots, which offer progressive jackpots. Some of the most popular titles on offer include Road Trip, Reels of Rock, Peek Physique and the Purse of the Mummy. Perhaps one of the most popular types on offer at Cyber Bingo casino is of course bingo, and the casino has gone out of its way to make sure that these games offer players a truly unique experience. Each of the games on offer within this category also come with their own themes, jackpots, and prizes. Players who enjoy table games will be happy to know that registering with Cyber Bingo casino means they won’t miss out. The table games on offer include baccarat, blackjack, American roulette, European roulette and Texas Hold ‘em. A great video poker selection is also being offered, including such variants as Double Joker Poker, Jacks or Better, Deuces Wild and Double Bonus, to name but a few. Keno is also on offer, as well as other, more distinct games such as Chain Reactor. The mobile version of Cyber Bingo casino is compatible with just about all devices, including Android, iOS, and Windows. Players will be happy to know that downloads are not necessary and they can access the mobile version of the site simply by opening the website on their tablet or smartphone. Players can look forward to an exciting, staggered deposit bonus on their first, second and third deposits when they sign up with CyberBingo casino and make the decision to play one of the many bingo games on offer. The bingo welcome bonus is not the only thrilling bonus on offer – the site also hosts weekly tournaments that allow players to win cash and other great prizes. Players will also be happy to know that the site offers daily reload bonuses, giving players many more reasons to return to the site. Players need to wager promotional bonuses at least 40 times before any withdrawals can be made. The casino currently offers a variety of deposit options, including VISA, Mastercard, Switch, Bitcoin, Skrill, Solo, Moneybookers, Neteller, Bank Transfers and Ukash. Withdrawals and be made via; Bank Wire Transfer, Visa, Bitcoin, Neteller, and Skrill. Players can access live chat support on a 24/7 basis. Players can also get in touch with the casino via email. CyberBingo casino uses nothing less than 128-bit SSL encryption technology to protect the personal information belonging to their players. This technology was created by Thawte. The games offered by the site are audited by an independent testing company to ensure their fairness.